So, I finally watched Transformers II aka Transformers: Revenge of the Fallen and honestly, I had no idea just what the f--k was going on. 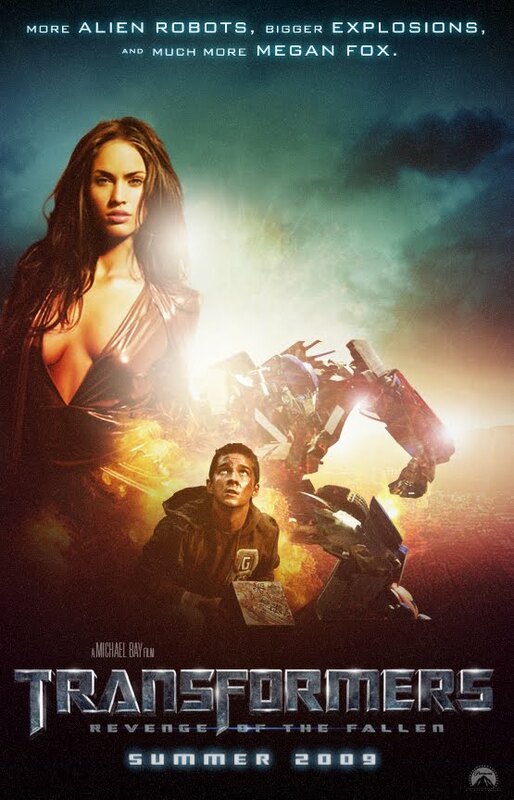 I mean Transformers-I was basically about some bad robots that wanted to destroy earth with some All Spark thingy and some good robots that wanted to help humans; and Megan Fox was totally hot!. But in Transformers-II (Revenge of the fallen), the All Spark thingy is now about some Chinese map to some machine that ancient autobots had built in pyramids to harness Sun's power that somehow got imprinted in Shia LaBeouf's brain and Decepticons climb Empire State or something. Megan Fox was still totally hot though, glad they still got that right! Decepticons - What's the big deal? movie that Autobots can be easily killed by Sabot rounds and now we have the granddaddy of those called RailGuns? Just RailGun the f-ckers whenever they try to pull a KingKong on any building! There are barely a dozen of them Decepticons left anyway! So, whats the problem here?? Optimus Prime - Traitor to his own race? I feel for the bad guys here because it seems that all that Fallen want is to rebuild their planet by harvesting the sun; while the "good" autobots - Optimus Prime and friends - don't seem to want to rebuild their own goddamn race!! Now I'm not an expert on Autobot society but if human race was dying and the only way to save us was by fighting some robots, then I don't know if I'd let my own race to die to save a bunch of robots! Heck, I'd be a hero if I saved Earth by destroying a bunch of robots! 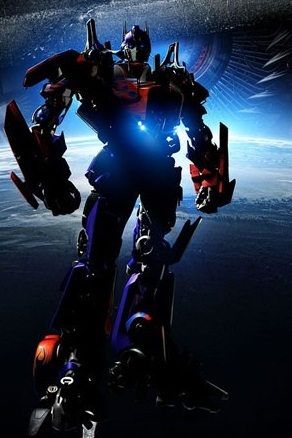 Optimus Prime and gang, on the other hand, seem to be bent upon saving humans and killing their own planet! Well good for us but why don't they take that pyramid machinery and harvest any of the zillions of stars out there? Or is our sun the ONLY star in the universe? I don't know. Why don't human use Railguns much? It took just one hit by the RailGun to instantly tear one huge Decepticon into three pieces. Railgun seems like a very potent weapon so what's the holdup? Tangentially, the guy in charge of the RailGuns is willing to take orders from someone who no longer works for USA Govt! Think about it, ANYONE can phone in, tell them they are director of whatever and get the RailGun-ners to target wherever they want! You don't like your boss, your boyfriend is cheating on you, some nearby buildings cast shadow on your pool? No problem, USA govt provides free RailGun service just a phone call away! Sam Witwicky's questionable sexual orientation? man's and not-straight gal's minds on the planet if any of us gets to get cosy with Ms. Fox! But Scientists are still trying understand why Witwicky is scared of saying "Yes, I love you too Megan Fox". He doesn't seem to be into guys either so what's the deal? Is Witwicky into autobots? I don't even know if it's considered besti-lity or what but hey, I'm not gonna judge it, if it turns out that Witwicky's is cheating on Megan Fox and Optimus Prime by secretly dating his own car, it's his business! Another interesting thing that I noticed is that the new autobots are very similar to the Terminator robots! We already had Megatron in Terminator, now we have those bike-bots in Transformers! With all that exchange taking place, all I want is to replace Shia-lame-LaBeouf with my man John Connor aka Batman aka Christian Bale aka American Psycho and then my life would be complete! Give Connor and Ms. Fox a couple of railguns and send them to fight Fallen and gang and then we'll be talking about some really serious sh-t.
How do the good guys win? been totally destroyed! This is in sharp contrast to Transformers-I where Witwicky himself kills Megatron with All Spark and pretty much wins the war all by his ingenuity! But in Revenge of the Fallen, they just got lucky! It's as if the "revenge" is actually JetFire's revenge against his own race!